Lots to love in The Good Fight, not least its very existence as a female-led, POC-heavy US drama, unafraid to tackle the most modern of issues, as its parent show The Good Wife did in its prime. And over the 10 episodes of its first season, it has proved an engaging and entertaining watch in the midst of finding its feet about the kind of show it actually wants to be. (You can read my thoughts about Episodes 1 and 2 here). A little something to perk us all up on a Tuesday morning. Stephen Sondheim and James Lapine’s Pulitzer Prize-winning Sunday in the Park with George is enjoying a Broadway revival at the Hudson Theatre (139-141 West 44th Street) and here’s a few photographs of the show and its stars Academy Award nominee Jake Gyllenhaal (in his Broadway musical debut) and Tony Award winner Annaleigh Ashford doing things in and around the show. I hadn’t intended to write about this spin-off from The Good Wife but its opening two episodes were just too full of insane goodness impossible to ignore – I mean just look at that poster art for one. The earlier seasons of The Good Wife were fantastic, US network television close to its best, but the show definitely lost some of its sparkle as its core ensemble collapsed and none of the replacement cast members were able to deal with the unchecked gravitational vortex of its key star Julianna Margulies as Saint Alicia Florrick. It’s no secret that Broadway cares but there’s still something extremely touching about a community coming together to help others, especially when it feels close to home. However others want to spin it, the attack on the Pulse nightclub in Orlando was an attack on the LGBT+ community and that is something that is just chilling in its cold reality. But from such horror comes something positive too as people rally together to share love and support, solidarity and hope that no matter how dark it gets, we’re never alone. In London, the LGBT+ community has the Pride in London Parade to spark the coming together over what will be a poignant weekend. And on Broadway, Broadway Records President Van Dean, SiriusXM Radio Host Seth Rudetsky and Producer James Wesley have pulled together a dream choir of amazing performers to record a charity single of Burt Bacharach and Hal David’s ‘What The World Needs Now Is Love’ to benefit the Orlando LGBT+ community. Take a look at the video below (and be blown away by such luminaries as Audra McDonald, Bernadette Peters, Lin-Manuel Miranda, Idina Menzel and so many more) but I urge you to please buy a copy too, to support this very worthy cause. You can buy ‘What The World Needs Now’ here. 100% of the proceeds from the sale of the song will benefit the GLBT Community Center of Central Florida. And matching Broadway for passionate respect are the London Gay Men’s Chorus. 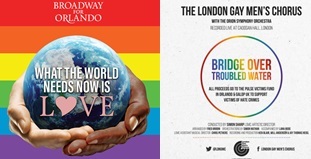 The response to their musical tribute of Simon and Garfunkel’s ‘Bridge Over Troubled Water’ at the Soho vigil for the Orlando victims was such that they have decided to release it as their own charity single (it had originally been intended for their 25th anniversary album later this year, and recorded just hours before the attack took place). You can find out more about ‘Bridge Over Troubled Water’ here or purchase it directly on iTunes and Google Play. Proceeds from the sale of the charity single will be split equally between the Orlando Victims Fund, organised by Equality Florida; and Galop, the UK’s LGBT anti-violence charity that supports victims of homophobic, biphobic and transphobic hate crime. 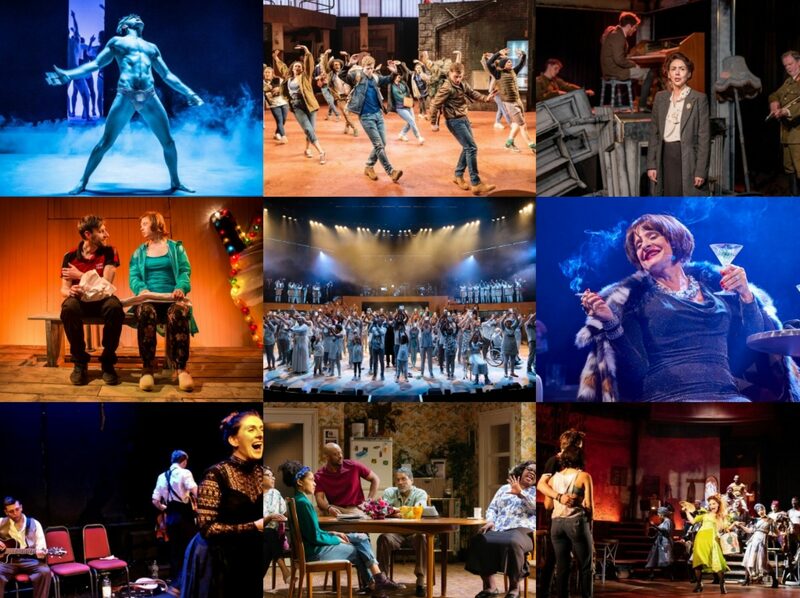 Is Follies a show you can really just listen to? 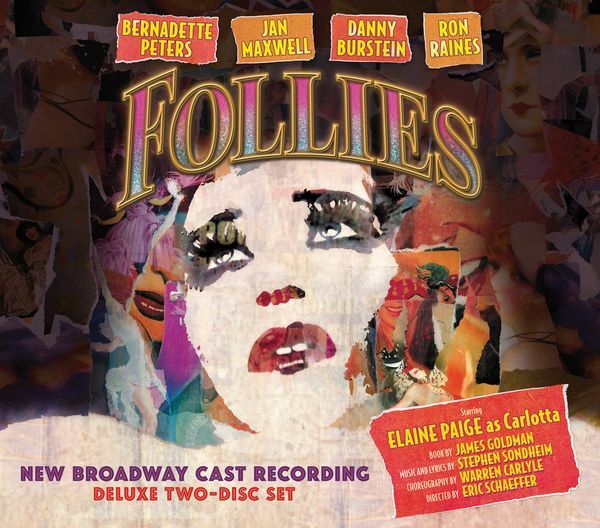 Many clearly agree but having got through this double-disc cast recording of Eric Schaeffer’s production of Stephen Sondheim and James Goldman’s show from 2011, I’m not sure enough of it really translates on record. This is quite possibly coloured by the fact that I saw it for the first time earlier this year in a most fun semi-staged concert version at the Royal Albert Hall and memories are that are still strong.